Aon plc is a British global professional services company headquartered in London that provides risk, retirement and health consulting. Aon has approximately 500 offices worldwide, serving 120 countries with 50,000 employees. Aon was created in 1982 when the Ryan Insurance Group merged with the Combined Insurance Company of America. In 1987, that company was renamed Aon, a Gaelic word meaning "one". W. Clement Stone's mother bought a small Detroit insurance agency, and in 1918 brought her son into the business. Mr. Stone sold low-cost, low-benefit accident insurance, underwriting and issuing policies on-site. The next year he founded his own agency, the Combined Registry Co.
As the Great Depression began, Stone reduced his workforce and improved training. Forced by his son's respiratory illness to winter in the South, Stone moved to Arkansas and Texas. In 1939 he bought American Casualty Insurance Co. of Dallas, Texas. It was consolidated with other purchases as the Combined Insurance Co. of America in 1947. The company continued through the 1950s and 1960s, continuing to sell health and accident policies. In the 1970s, Combined expanded overseas despite being hit hard by the recession. In 1982, after 10 years of stagnation under Clement Stone Jr., the elder Stone, then 79, resumed control until the completion of a merger with Ryan Insurance Co. allowed him to transfer control to Patrick Ryan. Ryan, the son of a Ford dealer in Wisconsin, had started his company as an auto credit insurer in 1964. In 1976, the company bought the insurance brokerage units of the Esmark conglomerate. Ryan focused on insurance brokering and added more upscale insurance products. He also trimmed staff and took other cost-cutting measures, and in 1987 he changed Combined's name to Aon. In 1992, he bought Dutch insurance broker Hudig-Langeveldt. In 1995, the company sold its remaining direct life insurance holdings to General Electric to focus on consulting. The following year, it began offering hostile takeover insurance policies to small and mid-sized companies. Aon built a global presence through purchases. In 1997, it bought The Minet Group, as well as insurance brokerage Alexander & Alexander Services, Inc. in a deal that made Aon (temporarily) the largest insurance broker worldwide. The firm made no US buys in 1998, but doubled its employee base with purchases including Spain's largest retail insurance broker, Gil y Carvajal, and the formation of Aon Korea, the first non-Korean firm of its kind[clarification needed] to be licensed there. Responding to industry demands, Aon announced its new fee disclosure policy in 1999, and the company reorganised to focus on buying personal line insurance firms and to integrate its acquisitions. That year it bought Nikols Sedgwick Group, an Italian insurance firm, and formed RiskAttack (with Zurich US), a risk analysis and financial management concern aimed at technology companies. The cost of integrating its numerous purchases, however, hammered profits in 1999. Despite its troubles, in 2000 Aon bought Reliance Group's accident and health insurance business, as well as Actuarial Sciences Associates, a compensation and employee benefits consulting company. Later in that year, however, the company decided to cut 6% of its workforce as part of a restructuring effort. In 2003, the company saw revenues increase primarily because of rate hikes in the insurance industry. Also that year, Endurance Specialty, a Bermuda-based underwriting operation that Aon helped to establish in November 2001 along with other investors, went public. The next year Aon sold most of its holdings in Endurance. In late 2007, Aon announced the divestiture of its underwriting business. With this move, the firm sold off its two major underwriting subsidiaries: Combined Insurance Company of America (acquired by ACE Limited for $2.4 billion) and Sterling Life Insurance Company (purchased by Munich Re Group for $352 million). The low margin and capital-intensive nature of the underwriting industry was the primary reason for the firm's decision to divest. Upon completion of the move, Aon turned its attention to expanding its broking and consulting capabilities. This growth strategy manifested in November 2008 when Aon announced it had acquired reinsurance intermediary and capital advisor Benfield Group Limited for $1.75 billion. The acquisition amplified the firm's broking capabilities, positioning Aon one of the largest players in the reinsurance brokerage industry. In 2010, Aon made its most significant acquisition to date with the purchase of Hewitt Associates for $4.9 billion. Aside from drastically boosting Aon's human resources consulting capacity and entering the firm into the business process outsourcing industry, the move added 23,000 colleagues and more than $3 billion in revenue. In January 2012, Aon announced that its headquarters would be moved from Chicago to London. 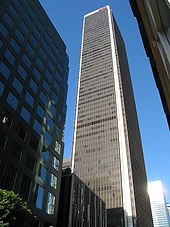 Aon's New York offices were on the 92nd and 98th–105th floors of the South Tower of the World Trade Center at the time of the 11 September 2001 terrorist attack. When the North Tower was struck at 8:46 a.m., many executives began evacuating their employees from the upper floors of the South Tower. 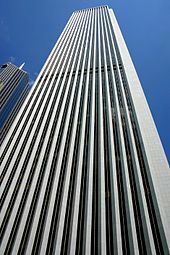 The evacuation of Aon's offices, ordered by Eric Eisenberg, was carried out quickly as 924 of the estimated 1,100 Aon employees present at the time managed to evacuate the building before United Airlines Flight 175 struck it twenty stories below them at 9:03 a.m. However, many were influenced to stay by security guards and security announcements, or did not exit the building in time. As a result, 176 employees of Aon were killed in the attacks, including Eisenberg and Kevin Cosgrove, a vice-president of the company, who was making a call to 911 when the tower collapsed at 9:59. In 2004–2005, Aon, along with other brokers including Marsh & McLennan and Willis, fell under regulatory investigation under New York Attorney General Eliot Spitzer and other state attorneys general. At issue was the practice of insurance companies' payments to brokers (known as contingent commissions). The payments were thought to bring a conflict of interest, swaying broker decisions on behalf of carriers, rather than customers. In the spring of 2005, without acknowledging any wrongdoing, Aon agreed to a $190 million settlement, payable over 30 months. In January 2009, Aon was fined £5.69 million in the UK by the Financial Services Authority, who stated that the fine related to the company's inadequate bribery and corruption controls, claiming that between 14 January 2005 and 30 September 2007 Aon had failed to properly assess the risks involved in its dealings with overseas firms and individuals. The Authority did not find that any money had actually made its way to illegal organisations. Aon qualified for a 30% discount on the fine as a result of its co-operation with the investigation. Aon said its conduct was not deliberate, adding it had since "significantly strengthened and enhanced its controls around the usage of third parties". In December 2011, Aon Corporation paid a $16.26 million penalty to the US Securities and Exchange Commission (SEC) and the US Department of Justice (DOJ) for violations of the US Foreign Corrupt Practices Act (FCPA). According to the SEC, Aon's subsidiaries made improper payments of over $3.6 million to government officials and third-party facilitators in Costa Rica, Egypt, Vietnam, Indonesia, the United Arab Emirates, Myanmar and Bangladesh, between 1983 and 2007, to obtain and retain insurance contracts. On 5 January 2007, Aon announced that its Aon Affinity group had acquired the WedSafe Wedding Insurance program. On 22 August 2008, Aon announced that it had acquired London-based Benfield Group. The acquiring price was US$1.75 billion or £935 million, with US$170 million of debt. On 5 Mar 2010, Hewitt Associates announced that it acquired Senior Educators Ltd. The acquisition offers companies a new way to address retiree medical insurance commitments. On 12 July 2010, Aon announced that it had agreed to buy Lincolnshire, Illinois-based Hewitt Associates for $4.9 billion in cash and stock. On 7 April 2011, Aon announced that it had acquired Johannesburg, South Africa-based Glenrand MIB. Financial terms were not disclosed. On 19 July 2011, Aon announced that it bought Westfield Financial Corp., the owner of insurance-industry consulting firm Ward Financial Group, from Ohio Farmers Insurance Co. Financial terms were not disclosed. On 22 October 2012, Aon announced that it agreed to buy OmniPoint, Inc, a Workday consulting firm. Financial terms were not disclosed. On 16 June 2014, Aon announced that it agreed to buy National Flood Services, Inc., a leading processor of flood insurance, from Stoneriver Group, L.P.
On 31 October 2016, Aon's Aon Risk Solutions completed acquisition of Stroz Friedberg LLC, a specialised risk management firm focusing on cybersecurity. On February 10, 2017, Aon PLC agreed to sell its human resources outsourcing platform for US$4.8 billion (£3.8 billion)  to Blackstone Group L.P. (BX.N), creating a new company called Alight Solutions. In September 2017, Aon announced its intent to purchase real estate investment management firm The Townsend Group from Colony NorthStar for $475 million, expanding Aon's property investment management portfolio. On 3 June 2009, it was reported that Aon had signed a four-year shirt sponsorship deal with English football giant Manchester United. On 1 June 2010, Aon replaced American insurance company AIG as the principal sponsor of the club. The Aon logo was prominently displayed on the front of the club's shirts until the 2014/2015 season when Chevrolet replaced them. The deal was said to be worth £80 million over four years, replacing United's deal with AIG as the most lucrative shirt deal in history at the time. In April 2013, Aon signed a new eight-year deal with Manchester United to rename their training ground as the Aon Training Complex and sponsor the club's training kits, reportedly worth £180 million to the club. ^ a b c d e f "AON Income Statement - Aon plc Class A Ordinary Shares Stock - Yahoo Finance". finance.yahoo.com. Archived from the original on 14 March 2017. ^ "About Aon". Aon. Archived from the original on 8 August 2017. Retrieved 7 August 2017. ^ "Business Insurance ranks world's largest insurance brokers". Business Insurance. 20 July 2011. Archived from the original on 11 February 2012. Retrieved 23 February 2012. ^ "Principal Sponsor of Manchester United". Manchester United. Archived from the original on 14 February 2012. Retrieved 23 February 2012. ^ "Aon Kicks off Four-Year Manchester United Shirt Sponsorship With Global Charity Initiatives". Aon. 3 June 2009. Archived from the original on 17 June 2013. Retrieved 23 February 2012. ^ "GE Capital To Acquire An Insurer". The New York Times. 27 December 1995. Archived from the original on 2 November 2014. ^ "Aon Sells Combined to ACE for $2.4 Billion; Sterling to Munich Re". Insurance Journal. 17 December 2007. Archived from the original on 25 May 2013. Retrieved 14 March 2013. ^ "Aon sells two insurance units for $2.75B". USA Today. 17 December 2007. Retrieved 14 March 2013. ^ Jerry Geisel (22 August 2008). "Aon to Acquire Broker Benfield for $1.75 Billion". Insurance Journal. Archived from the original on 25 May 2013. Retrieved 14 March 2013. ^ "Aon completes acquisition of Hewitt". Business Insurance. 1 October 2010. Retrieved 15 March 2013. ^ "Aon Buys Hewitt in Move to Expand Its Consulting Arm". New York Times. 12 July 2010. Archived from the original on 1 June 2013. Retrieved 15 March 2013. ^ Tadena, Nathalie; Dean, Jason; Scism, Leslie (14 January 2013). "Aon Shifts Headquarters to London". Wall Street Journal. Archived from the original on 23 July 2015. Retrieved 10 May 2013. — Note: only first hundred or so words archived, but that is sufficient to support fact here. ^ a b Roumeliotis, Greg. "Exclusive: Blackstone to acquire Aon's benefits outsourcing for..." reuters.com. Archived from the original on 3 August 2017. ^ Shawn Langlois (14 September 2001). "Companies slowly add to WTC reports". CBS.MarketWatch.com. Archived from the original on 13 October 2012. Retrieved 23 February 2012. ^ Aaron Siegel (11 September 2007). "Industry honors fallen on 9/11 anniversary". InvestmentNews. Archived from the original on 15 September 2007. Retrieved 23 February 2012. ^ Scott Sinclair (8 January 2009). "Aon hit with record FSA fine". Ifaonline.co.uk. Archived from the original on 25 July 2011. Retrieved 23 February 2012. ^ The FBI (20 December 2011). "Aon Pays $1.76 Million Criminal Penalty" (Press release). The FBI. Archived from the original on 10 May 2012. ^ US Securities and Exchange Commission (20 December 2011). "SEC Files Settled FCPA Charges Against AON Corporation". US Securities and Exchange Commission. Archived from the original on 31 May 2017. ^ "Aon's Affinity Business Acquires WedSafe, Inc. Wedding Insurance and Private Event Insurance programs". Aon plc Global Media Relations. Retrieved 11 February 2019. ^ "Hewitt Associates Acquires Senior Educators Ltd". Aon. 5 March 2010. Archived from the original on 22 March 2012. Retrieved 23 February 2012. ^ Bruce Japsen and Becky Yerak (12 July 2010). "Aon agrees to buy Hewitt Associates". Chicago Breaking Business. Archived from the original on 15 July 2010. Retrieved 24 February 2012. ^ "Aon South Africa Receives Competition Commission Approval for Acquisition of Glenrand MIB". BusinessWeek. 7 April 2011. Archived from the original on 30 May 2013. Retrieved 18 March 2013. ^ "Aon buys Ward Financial; terms not disclosed". BusinessWeek. 19 July 2011. Archived from the original on 2 November 2012. Retrieved 24 February 2012. ^ "Aon Corp. to acqire OmniPoint's Workday Services company". Archived from the original on 27 April 2016. ^ "Aon to Acquire National Flood Services, Boost Flood Insurance Biz - Analyst Blog". Archived from the original on 15 July 2014. ^ "Aon Completes Acquisition of Risk Management Firm Stroz Friedberg". Archived from the original on 2 February 2017. ^ "Aon Hewitt acquires India's CoCubes". 14 November 2016. Archived from the original on 21 October 2017 – via The Economic Times. ^ Roumeliotis, Greg. "Aon to buy real estate investment firm Townsend from Colony NorthStar". Reuters (01 Sept 2017). Reuters. Archived from the original on 5 September 2017. Retrieved 5 September 2017. ^ a b "Man Utd announce new shirt deal with Aon". ESPN Soccernet. 3 June 2009. Archived from the original on 17 January 2014. Retrieved 24 February 2012. ^ Ogden, Mark (7 April 2013). "Manchester United to sign £180m Aon deal to change name of Carrington training base". The Telegraph. Archived from the original on 15 March 2014. Retrieved 29 July 2014. ^ "Pension and investment provider awards 2014". Archived from the original on 19 April 2015. Retrieved 21 April 2015. ^ "Corporate Equality Index 2013" (PDF). Human Rights Campaign. Retrieved 24 May 2013. ^ "Aon". Working Mother. Archived from the original on 6 June 2013. Retrieved 24 May 2013. ^ a b "Awards & Accolades". Aon Media Room. Archived from the original on 24 May 2013. Retrieved 24 May 2013. ^ "Aon Media Room". Aon. Archived from the original on 25 May 2013. Retrieved 24 May 2013. ^ "On Top of the World". Intelligent Insurer. Archived from the original on 14 October 2013. Retrieved 24 May 2013. ^ "Awards". Reactions. Archived from the original on 28 March 2013. Retrieved 24 May 2013. ^ "Awards for Excellence 2012". PLANSPONSOR. Archived from the original on 12 April 2012. Retrieved 2 January 2014. ^ "UK Pensions Awards 2012 – The Winners". Professional Pensions. Archived from the original on 30 August 2012. Retrieved 24 May 2013. Wikimedia Commons has media related to Aon.